Bike Night: This Wednesday 19th @ Boomers!!! This Wednesday 19th @ Boomers!!! 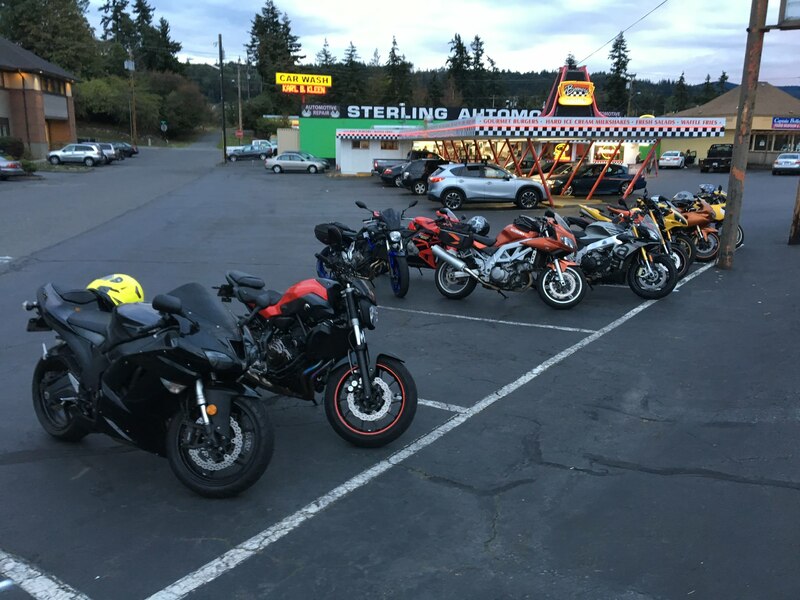 Ok, we're going to really have a bike night this week! *Just please don't stunt in front of the venue as it makes all of us look bad . In in in, for the love of all things wheelie, I'm in. Had my fork seals changed, and I put some fresh brake fluid in, so my bike is rideable again. Haven't been on a real ride for three months so this is the next best thing. Seeing how summer is pretty much over......should be a in for a burger to see some old faces. Thumperpilot and DarthVader like this. Y'all call your peeps and bring 'em out! Boomers is always a hit! make sure to wear a wife beater and ride your dads Harley! good idea... oyster run practice! I should finally be able to make this one . It was a good turnout and a fun evening. Thumperpilot, Tripledij and Malay like this. Wow, that is a large photo. Sorry.